June 6, 2018 -- I can now report that our Mystery Dinner is a thing of the past. Hopefully everyone had a good time. We had a good time planning it. May 12, 2018 -- Our last dinner was held at Cheshire Grange on Saturday, April 28th. This is in between Connecticut Granger news reporting time so I can only say it was as successful as all of the other ones! Thanks to everyone who helped us. The Social Connection Committee holds events in the Spring and Fall. Dates to be announced. 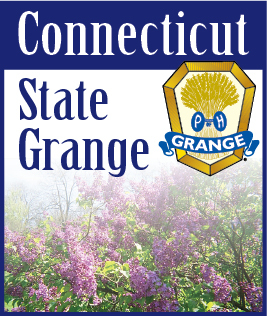 Watch the Connecticut Granger and this website for our announcements of our activities. Social Connection: The gang’s all here! Social Connection: It's A Matter of "Teamwork"
Social Connection: Next Social Event - "Teamwork"
Social Connection: Time to nominate your Granger of the year! Social Connection: Thank you to all! Social Connection: Mark your calendars for our Fun Fair! Tag Sales, Roasts and more!